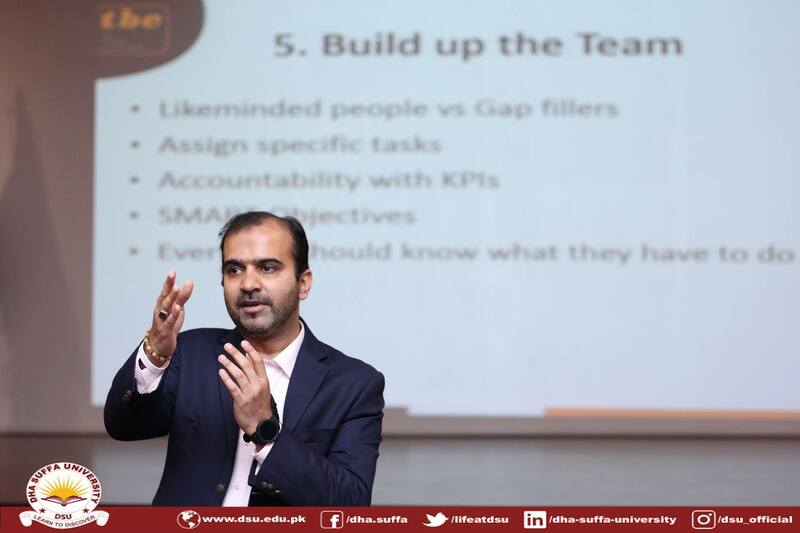 A lecture on ‘The Technology of Leadership’ was recently delivered by Mr. M.A. 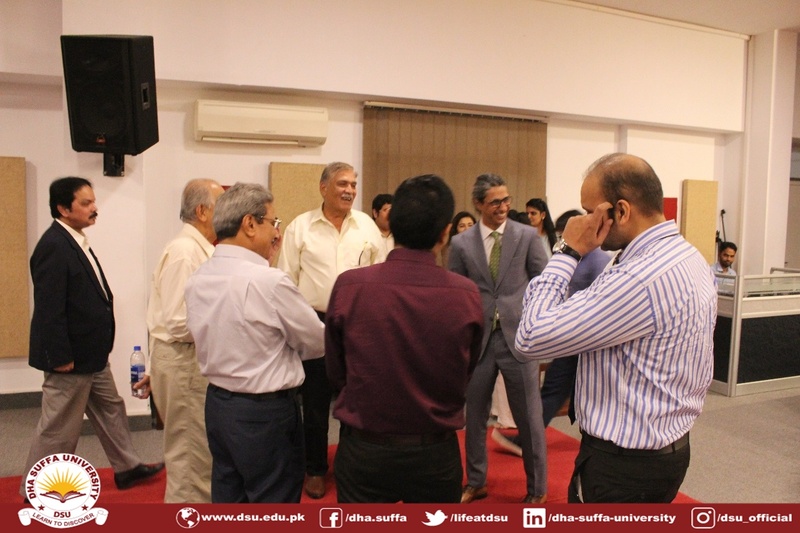 Mannan at DHA Suffa University. 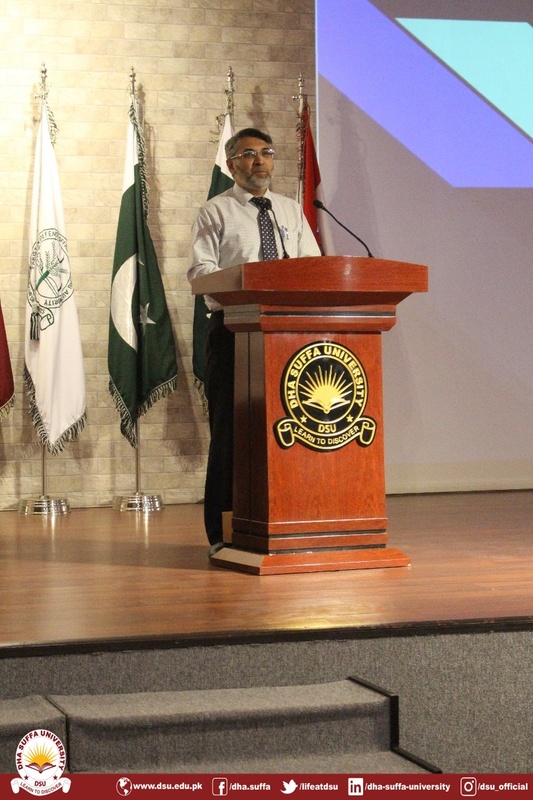 Mr. Mannan, who is the Ex-President and CEO of TCS Holdings, Dubai Islamic Bank and Ex-Chairman of PSO, shared about some global best practices, case studies, and the dynamics of the technological landscape, highlighting the opportunities for youth and working professionals in the light of his own professional experiences. 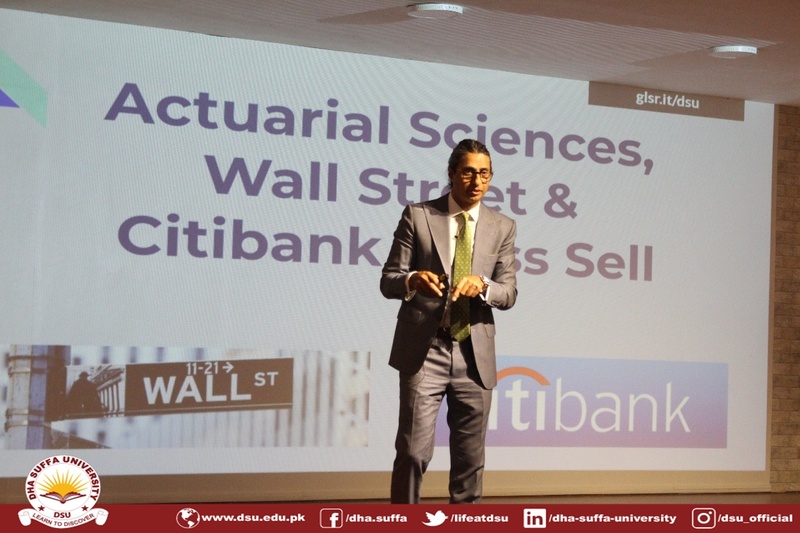 He also shared his valuable insights on the subject and how the technology influences today’s leadership roles and styles in the present world of big data, IoT and artificial intelligence. 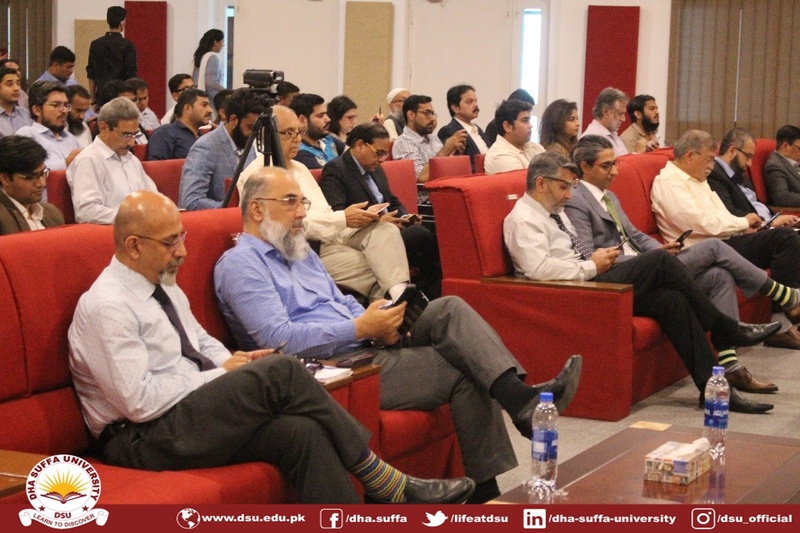 The speaker addressed an auditorium full of entrepreneurs, industry professionals, subject matter enthusiasts, students from other universities, and related private and government bodies. 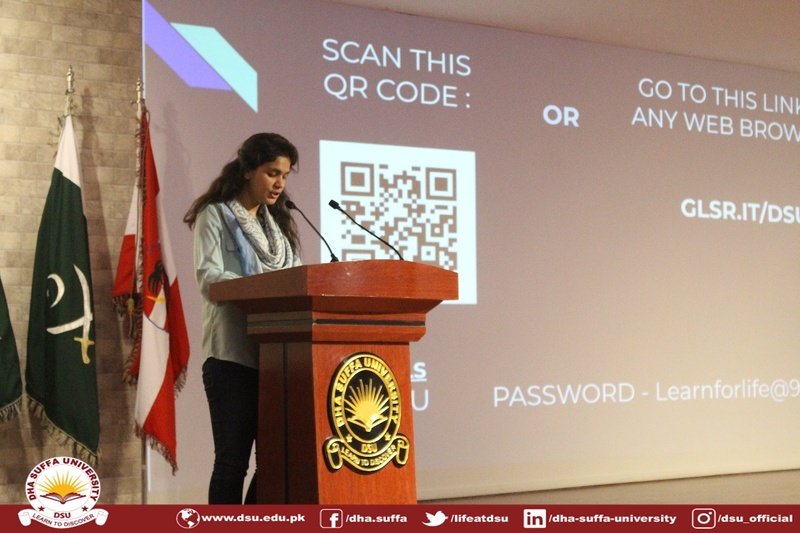 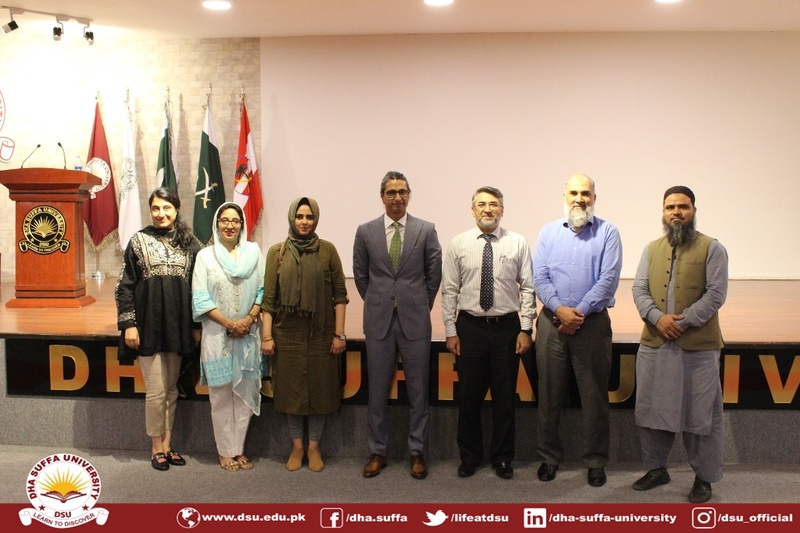 The lecture was arranged by the Professional Development Centre of DHA Suffa University as part of the Professional Lecture Series.